Welcome home to this spacious two-bedroom, two-bath, 1,259-square-foot quiet oasis. As you enter the apartment, the foyer splits into two wings. The north wing opens into an oversized living room perfect for entertaining or just cuddling up with your favorite book. On the left, a nice open kitchen is ready to suit all of your culinary needs. The second bedroom sits next to the living room and is filled with light all day from its three large bay windows. 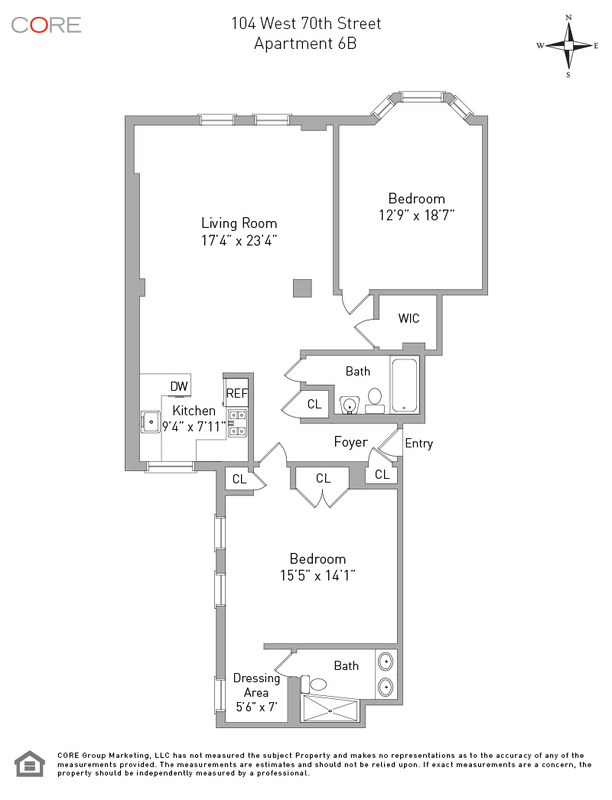 Next to the bedroom is a walk-in closet and the second bathroom. The south wing is devoted to the massive master suite, which features an en-suite bathroom, a dressing area and two large closets. The Walton Condominium is a friendly, pre-war, doorman building that features renovated hallways, laundry on every floor (washer/dryer permitted in units with board approval), a newly renovated lobby, a live-in super, building link, cold storage, a bike room, and storage for rent. The building has a beautiful brick and limestone facade with Beaux Arts classical detailing. Located just one block from all the glories of Central Park, anything your heart could desire is within reach. Find your morning coffee and bagel from Muffin's Cafe, croissants from Pain D' Epices, cupcakes from Magnolia Bakery or a nice sweat at the Equinox just around the corner. Along with boutique shopping on Columbus Avenue, The Museum of Natural History and Lincoln Center are just moments away. 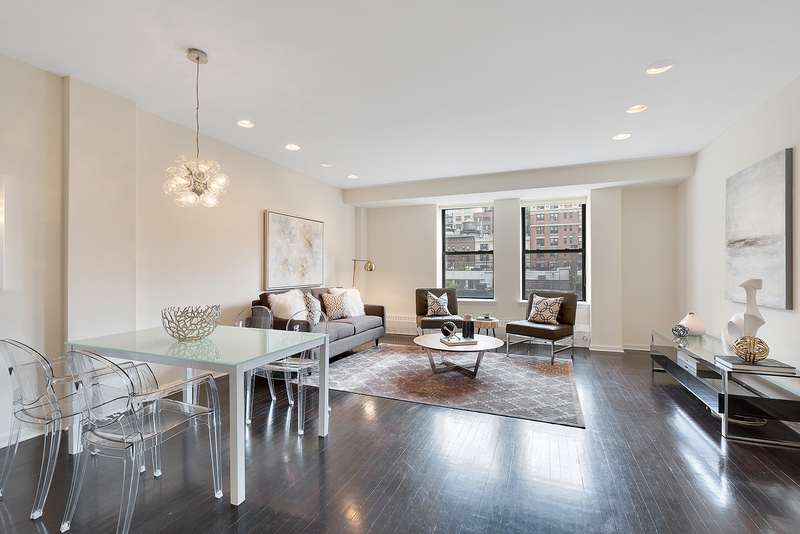 This apartment is the epitome of fine Upper West Side living.